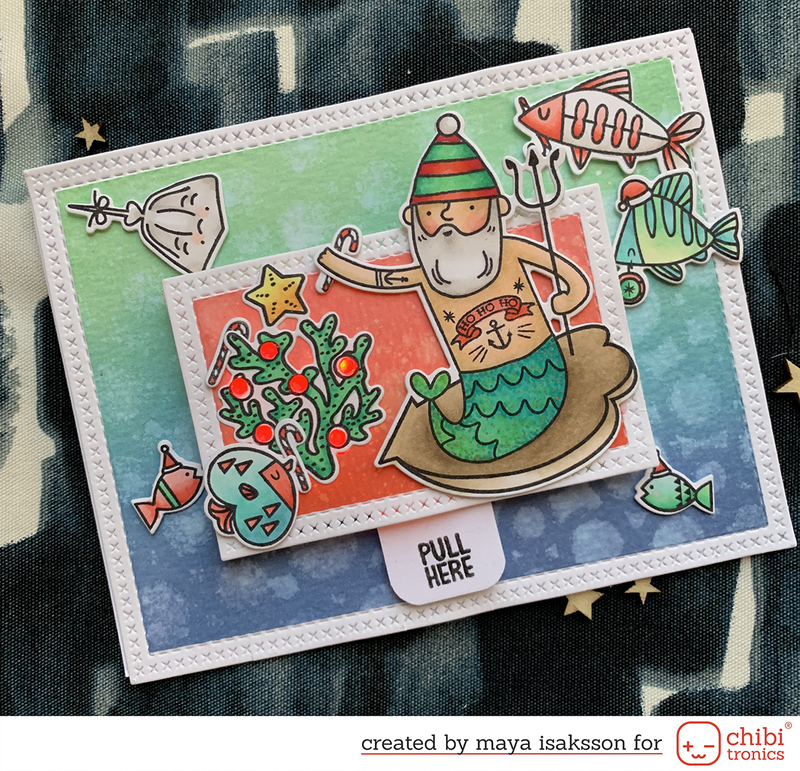 Today I made a card based on Lillblommans cute sketch for this weeks card challenge at SWE Scrapbook. There was some circles and I cut them out with two different doily dies and a circle punch. I didn’t feel like coloring an image for the card, instead I mounted a flower in the center. I love the stamp from Simon Says Stamp, you are absolutely delightful. I used a bit to soft shades of ink, I’m still trying out my new Hero Art ink pads. I mounted the cardfront with 3D adhesive on the cardbase made from thick woodgraine-patterned cardstock from Studio Calico. I almost can’t use it because it’s so beautiful, but it is perfect for cardbases since it’s so sturdy.